The Goochland Chamber of Commerce created Business in Goochland "BIG" Referral program to support members with a place to grow their businesses, highlight what makes them incredible, receive support and feedback from other business owners, create a synergy between fellow chamber member businesses, offer another opportunity for interaction with chamber staff, and to grow your success in our community and beyond. By being a part of the group, each member will obtain and or enhance networking skills to generate profitable referrals. This is not just another networking group; this is an intentional group for growth, success, and referrals. There can be only one representative from each business industry as a member of each group. Guests are welcome to attend. 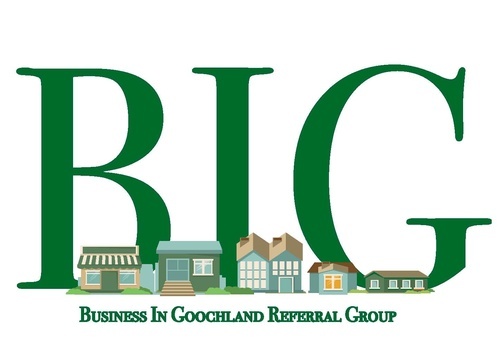 To join the BIG Referral Group, you must be a member of the Goochland County Chamber of Commerce.